In the first place froehlich management represents directors, directors of photography, 1st ADs, photographers as well as make-up artists, stylists and ghostwriters working on an international basis. a pool of fine selected professionals – young talents as well as established and experienced ones – is one part of the company. our main goal is to provide our clients with that director, dop, make-up artist etc. who is best suited for the particular job (not for tv commercials only, but also image films, photo shoots etc.). ‘Client first’ is our philosophy as well as our promise to our customer. as we always strive for finding the best possible solution for our clients, we might also refer to talents who are not exclusively represented by us. In addition to screening talents we can support you in finding the best suitable production company. serving our clients’ individual needs to their utter satisfaction is always of top priority to us. Secondly, froehlich management acts as adviser in every step of a production process – again on an international basis. that includes consulting companies, agencies, production houses etc. in how to realise their specific film project (commercial, image film…) the best and most efficient way, i.e. not only regarding crew but also with regard to factors such as costs, processes, production places, location scouting and so on. needless to say - once again all our clients highly benefit from our long experience and international networking capacity. To make a long story short - froehlich management not only represents amazing talents, but also offers a wide range of consulting services around the film production business. 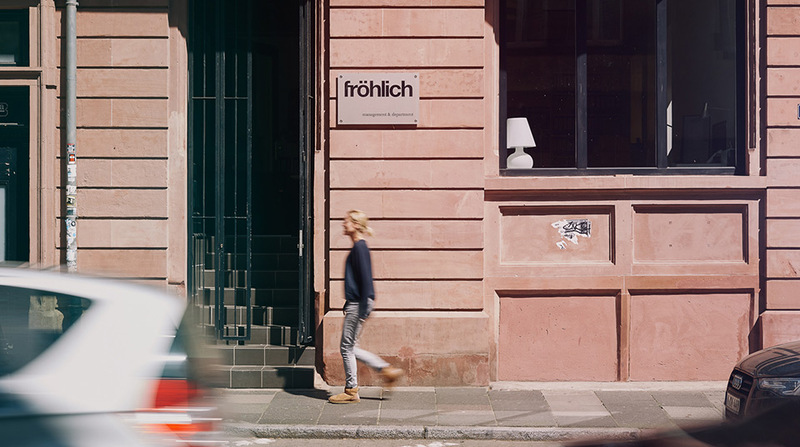 fröhlich management stands for long-time experience and highly qualified enthusiastic staff working with an international network of contacts.